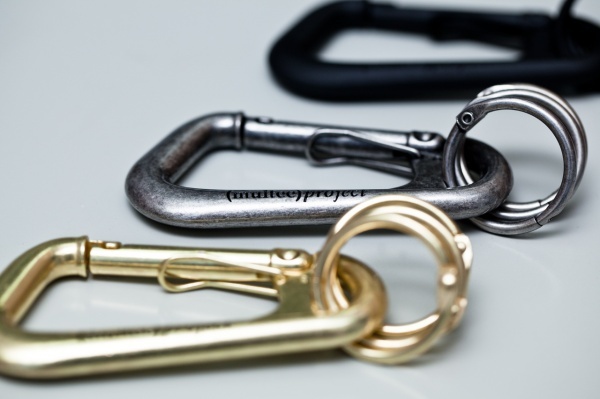 multee(project) has fulfilled our need for aesthetically-minded small carry goods with the release of their “Type-1″ custom carabiner. 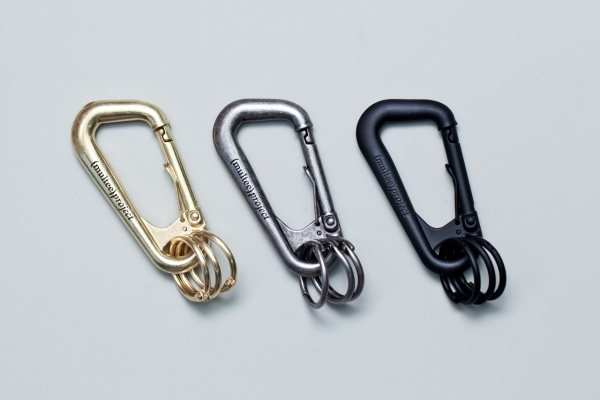 The heavy-duty carabiners are rounded out with three hinge snap keyrings, a embossed logo and tonal metal hardware. Offered up in three colorways, the “Type-1″ is available in brass, anti-silver and matte black.